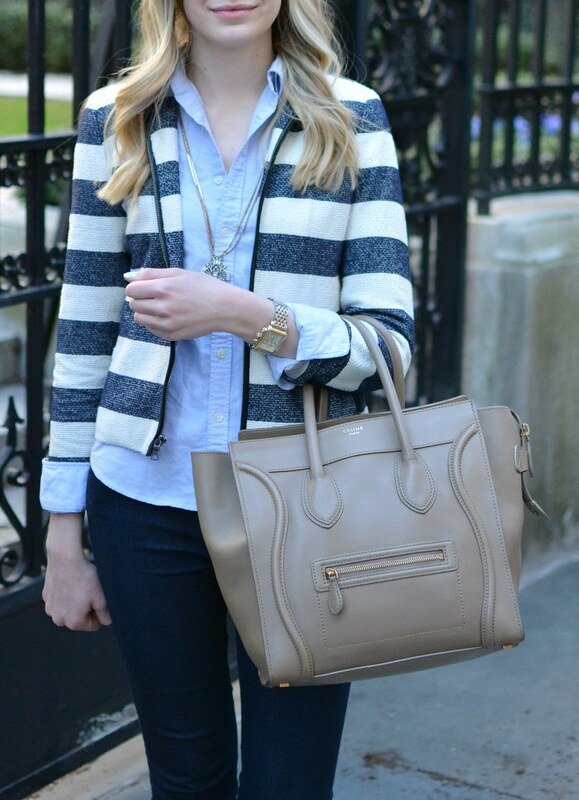 Pink might be my favorite color, but when it comes to my favorite color to wear, it’s blue. 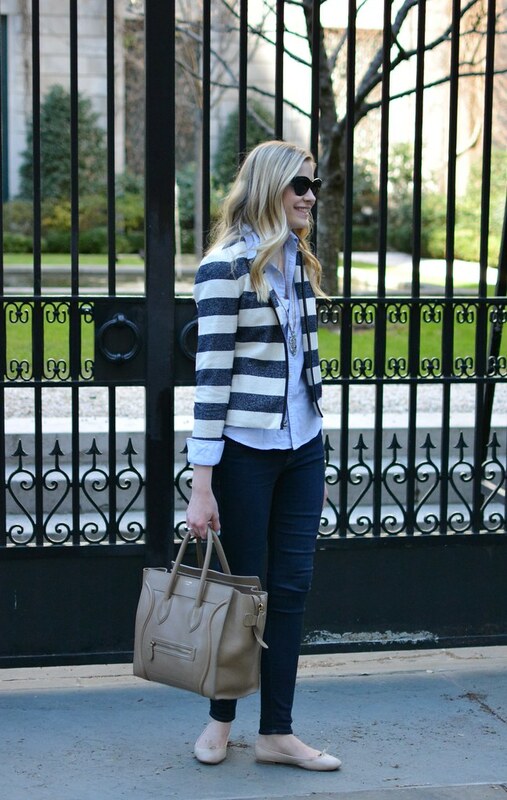 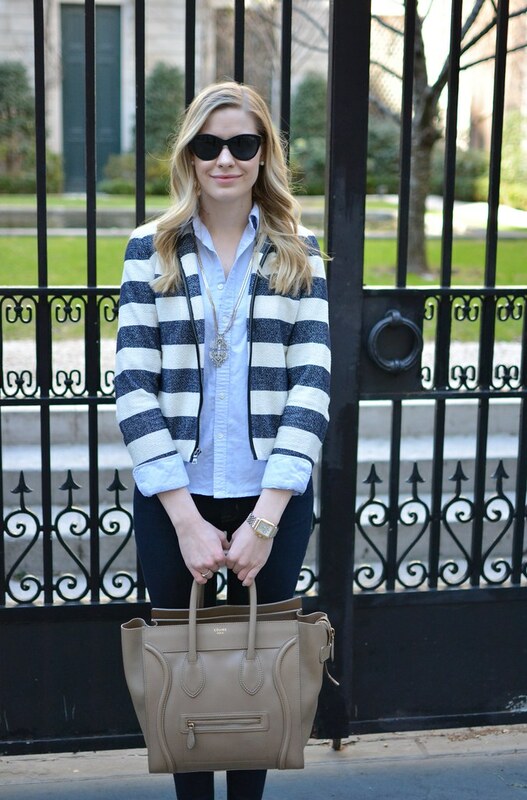 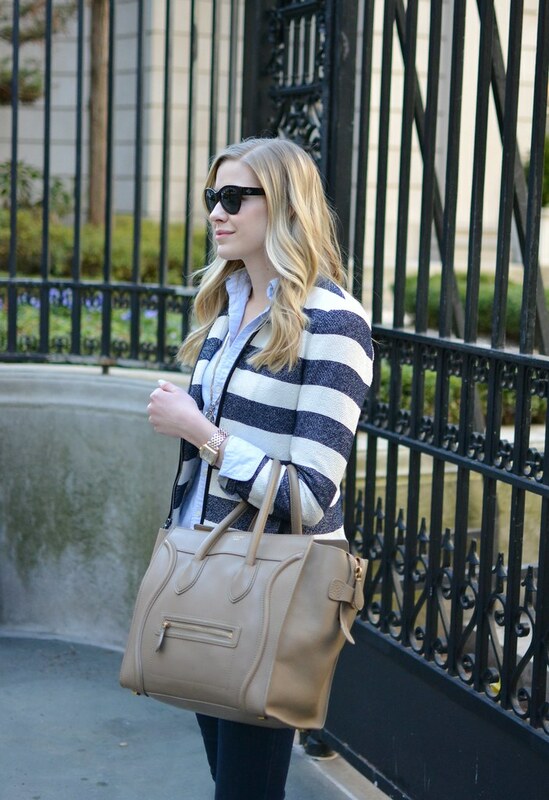 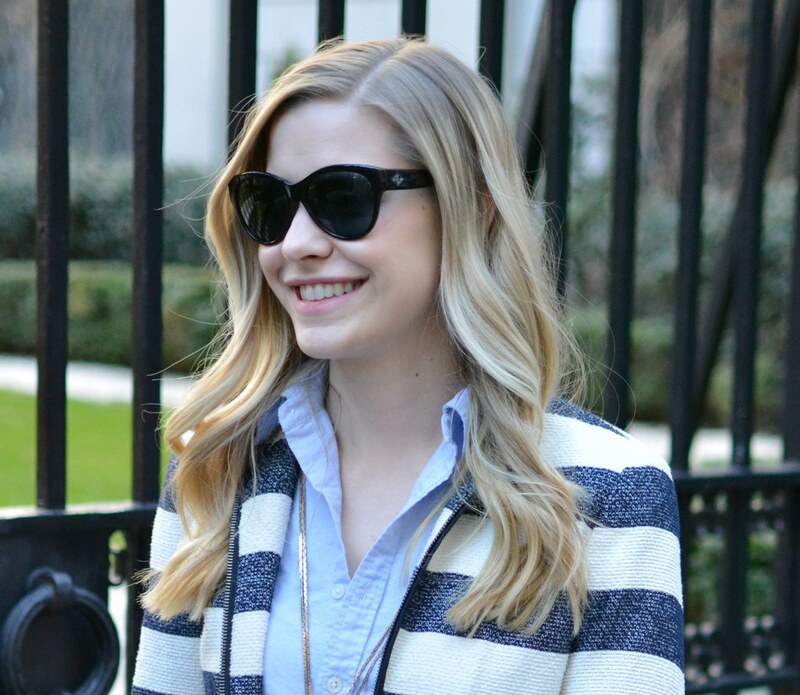 And this past weekend, I was all about my favorites wearing blue on blue with stripes. 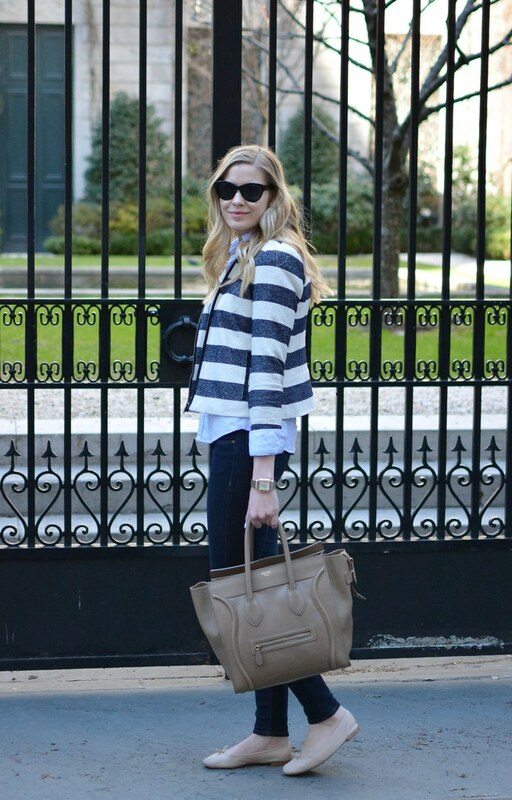 Beyond the blue, it was an outfit all about layering and perfect for the springtime weather.